When raising our kids from cradle to adulthood there are financial components to our parenting journey that are too often overlooked by otherwise very good parents. Matters of handling money are seemingly passed on from generation to generation. 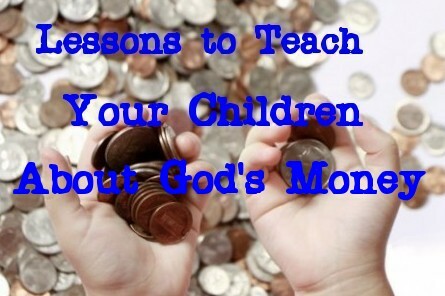 Also, parents may get busy, or confused, and do not necessarily know how to teach their children about money. We’d like to share with you the interview License to Parent with Trace Embry had with guest Chuck Bentley, CEO of Crown Financial Ministries, and host of the radio program My Money Life. During the interview, Chuck gives five valuable lessonson how to teach your children about money. Below is a recap of the lessons Chuck shared, but we encourage you to listen to the program to get his full perspective on this very important topic. First lesson – No means no. Parents need to learn how to say “No” to their children at an early age. In other words, do not give them everything they want. Second lesson – Teach your children to share, and how to delay gratification. A good rule of thumb is to teach them for every dollar they receive it must be allocated into the following three categories: Giving (10%), Savings (50%) and Spending (40%). Third lesson – Teach them personal responsibilities that they are not compensated for, i.e., make their own bed, fold their own clothes, etc. Forth lesson – Offer a monetary allowance based on chores that are accomplished beyond their personal responsibilities, i.e., vacuuming, yard work, etc. Set up a penalty system for chores that are not accomplished, or if poorly completed. Jobs ,and let them know your expectations. Inspect their work, and let them know of areas they need to improve. By implementing the five lessons Chuck Bentley has to offer, you will be helping your children at an early age to achieve healthy financial responsibilities that will last throughout their lifetime. They will learn the value of money by working for it and obtain a good work ethic, learn how to manage the money they receive, and to be able to live financially independent. What are some creative ways you teach your children about money?